Six Weeks of Aura Exploration with World Renowned Intuitive, Award Winning Author and Wisdom Teacher Kala Ambrose in her Academy of Mystical Arts and Spiritual Sciences. It’s Time to Tap Into Your Psychic Ability and See the Energy Fields Around You. In this Six Week Online Course, Kala teaches you how to see auras and more importantly, how to clear the energy in the physical, mental, emotional and spiritual fields of the aura in order to reach your highest and full potential. Each week you will receive a link to a video to watch, along with a PDF booklet study guide and exercises to try. 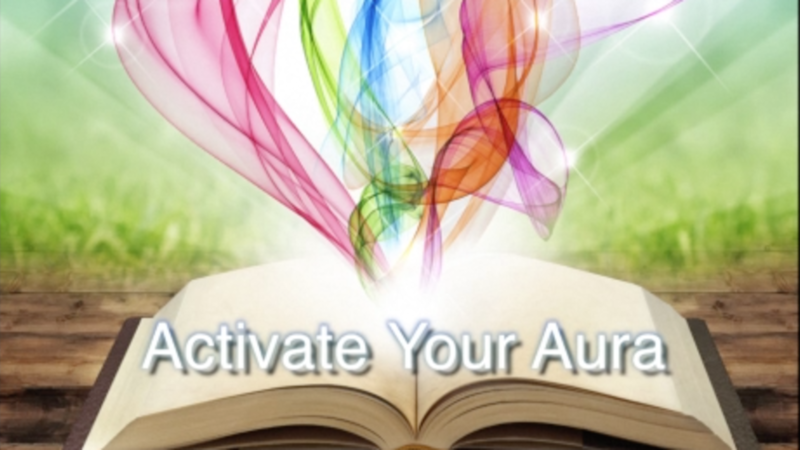 Kala's book, The Awakened Aura is recommended reading for this course. An e-book version of her book will be sent to you from Amazon, which can be read on the Kindle or through the Kindle App on any smartphone. The information from this course is provided for educational purposes only to promote understanding and knowledge of the topic. This course is not designed to and does not provide medical advice, professional diagnosis, treatment, or services to you or to any other individual. It is not intended to be a substitute for professional medical advice, diagnosis or treatment. No portion of this material is intended to offer professional legal, medical, personal or financial advice. The information contained herein cannot replace or substitute for the services of trained professionals in any field, including, but not limited to, medical, psychological, financial or legal matters. Under no circumstances will Explore Your Spirit with Kala and the Academy of Mystical Arts & Spiritual Sciences or any of its representatives or contractors be liable for any special or consequential damages that result from the use of, or the inability to use, the information or strategies communicated through these materials or any services provided prior to or following the receipt of these materials, even if advised of the possibility of such damages. Teachings and Consultations are conducted via online presentations. Recordings are made during events which may be offered at future dates for purchase. Teachings, workshops and consultations must be paid in advance. Payment confirms and reserves the date and time. Cancellations for this course within (7) seven days of the course beginning will receive a full refund. Cancellations (14) days into the event receive a 50% refund. There are no refunds once the student has progressed past Lesson Two of the course. Explore Your Spirit with Kala and the Academy of Mystical Arts & Spiritual Sciences has designed this product for entertainment only. It is sold with the understanding that the publisher, teacher and author are not liable for any misuse or misconception of information provided. The author, teacher and consultant shall have neither liability nor responsibility to any person or entity with respect to any loss, damage or injury caused or alleged to be cause directly or indirectly by the ideas set forth on this website and instructional teachings or by the misuse of any of the products presented and sold herein. You alone are responsible and accountable for your decisions, actions and results in life, and by your use of these materials, you agree not to attempt to hold us liable for any such decisions, actions or results, at any time, under any circumstances. We have taken every effort to ensure we accurately represent these strategies and their potential to help you grow personally and potentially your business. However, there is no guarantee regarding your success using the techniques in this program or these materials. Your level of success in attaining results is dependent upon a number of factors including your skill, knowledge, ability, dedication, personality, market, audience, business savvy, business focus, business goals, partners, luck, and financial situation. Because these factors differ according to individuals, we cannot guarantee your success, nor can we state that any results suggested in these materials are typical. These statements and the strategies offered in these materials are simply our opinion or experience. As stipulated by law, no future guarantees can be made that you will achieve any results or income from our information and we offer no professional medical, psychological, legal or financial advice. No Content from the video, audio or printed materials may be copied, reproduced, republished, uploaded, posted, transmitted, or distributed in any way, except that you may download one copy of the materials on any single computer for your personal, non-commercial home use only, provided that you (a) keep intact all copyright and other proprietary notices, (b) make no modifications to the Content, and (c) do not use the Content in a manner that suggests an association with any of our products, services or brands. Any business use, “re-mailing” or high-volume or automated use of the video, audio or printed materials is prohibited. All materials contain proprietary content and must not be duplicated, excerpted or distributed without written permission. No portion of these materials may be shared or reproduced in any manner under any circumstance whatsoever without advance written permission. © Copyright Academy of Mystical Arts & Spiritual Sciences™ and Explore Your Spirit with Kala™ All Rights Reserved.